Sunday Mornings are our pancake days. 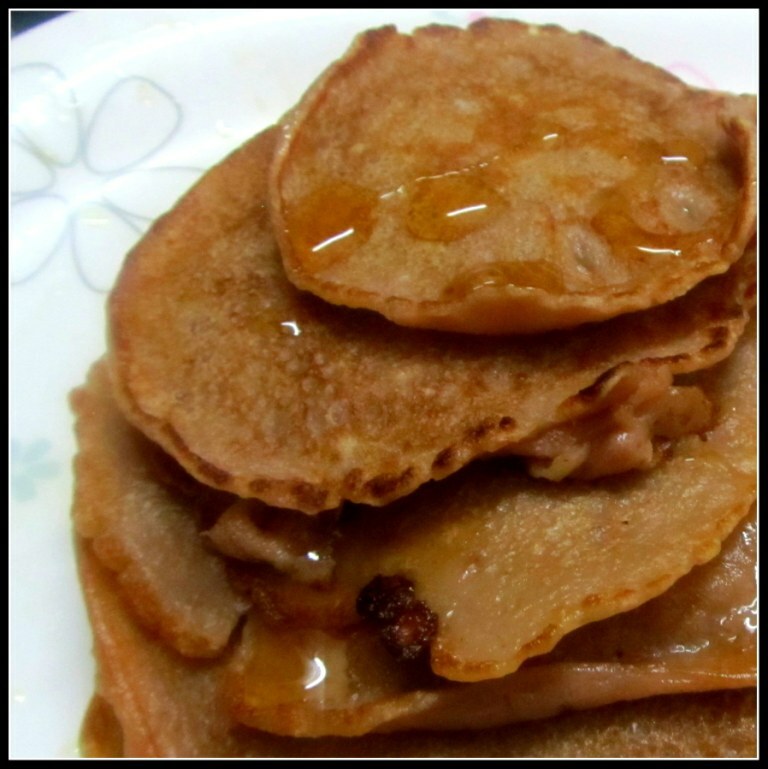 This is one of the quickest breakfast recipes I know. 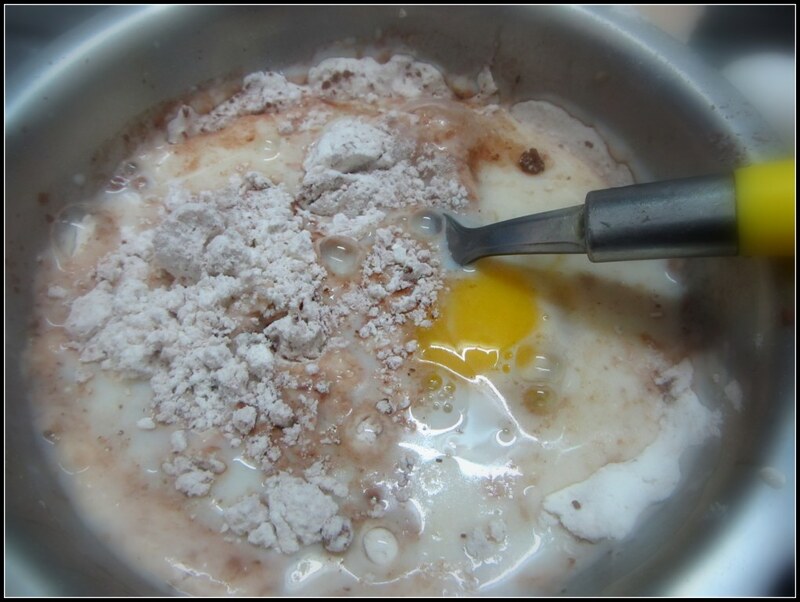 Take a bowl and all the dry ingredients like flour, salt, sugar, backing powder and coca powder and mix it. Break an egg and add to the mixture. 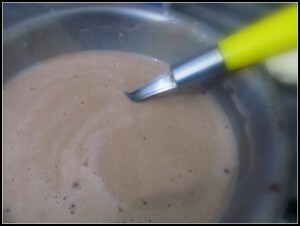 Add some milk and mix it well. Mix such a way that there are not many lumpy bits left. Sometime I get a good result, sometime I don’t. 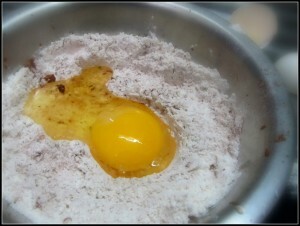 However, if you have a lumpy mixture, try to remove as many as possible by braking them. Aim for a not too runny or not too thick consistency. If required add more milk. 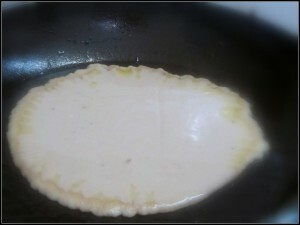 Take a frying pan (Or something with a flat bottom), add some oil and wait till it’s hot. Then pour a big spoonful of pancake batter. After a minute of so you will see bubbles coming up on the side facing you (this is because of the baking powder). 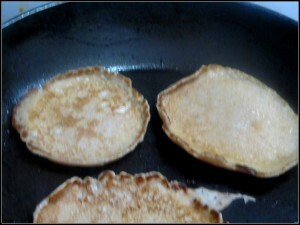 If you feel the top part of the pancake is still very runny, then wait for few more moments while it cooks little more. Now it is time to flip the pancake. If you have a spatula, you can use that to flip the pancake. Or, if you can, just flip without any outside tool. My spatula is no good (that is what happens, when you buy something online without checking), I am planing get a new one. 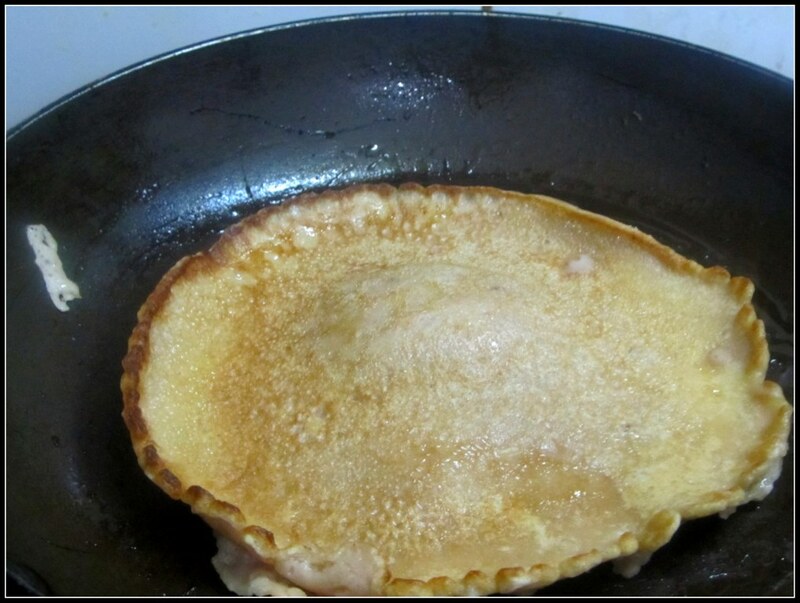 I have tried the pan flip technique couple of times and both of the time my pancake landed on the floor. I am wise now, I just take one spoon in one hand and one ladle in the other, I hold the pancake with the help of these two and flip it. After flipping you can see that the cooked side has a golden brown color. Wait for another minute (depending on the level of heat) then flip again to check if the other side is cooked. 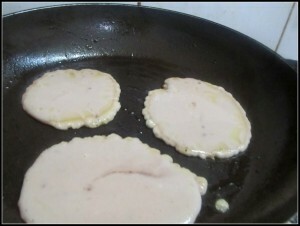 If you are satisfied then take the pancake off the heat. If you feel it’s not cooked yet, just repeat the flipping on both the side. 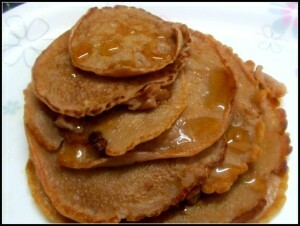 You can make some mini pancakes as well. They are for my little one. Other than size and cooking time everything is the same. And then serve it with a spoonful of honey (By-the-way, natural Honey is not good for children under one year of age). I like your recipes & interested for your cookery class. Kindly tell me how to contact with you. Thank you for liking my recipes. 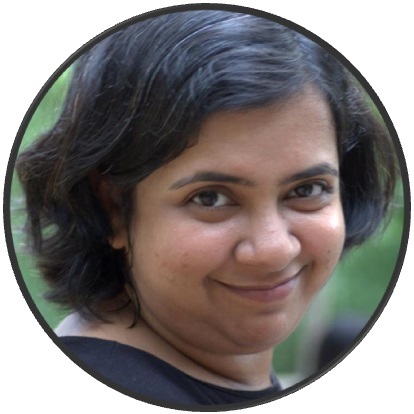 However, I have started blogging about my recipes a month back and do not undertake any cookery classes. I have purchased a micro oven (Samsung Model with convection) from Great Eastern shop , Dalhousie , Kolkata – 1, two months before but I could not operate properly, regarding cake, chicken toonduri, and various item except warming the food.pl. teach me for micro oven operations from your teaching classes if possible. Thanx.